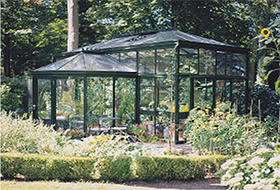 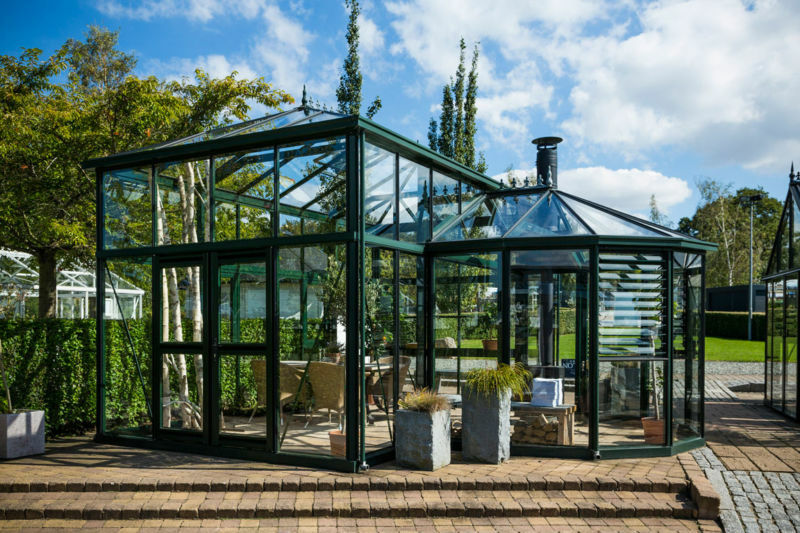 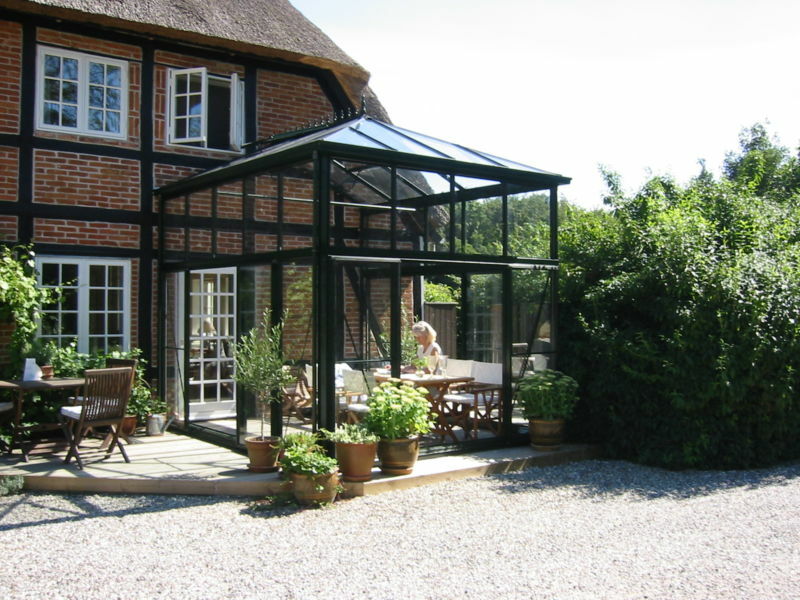 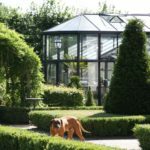 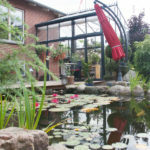 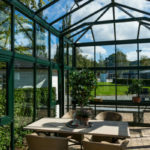 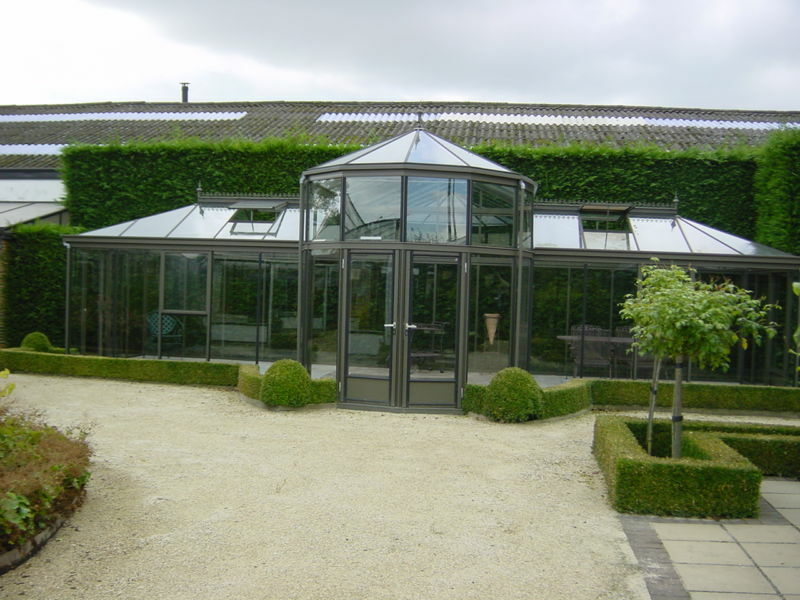 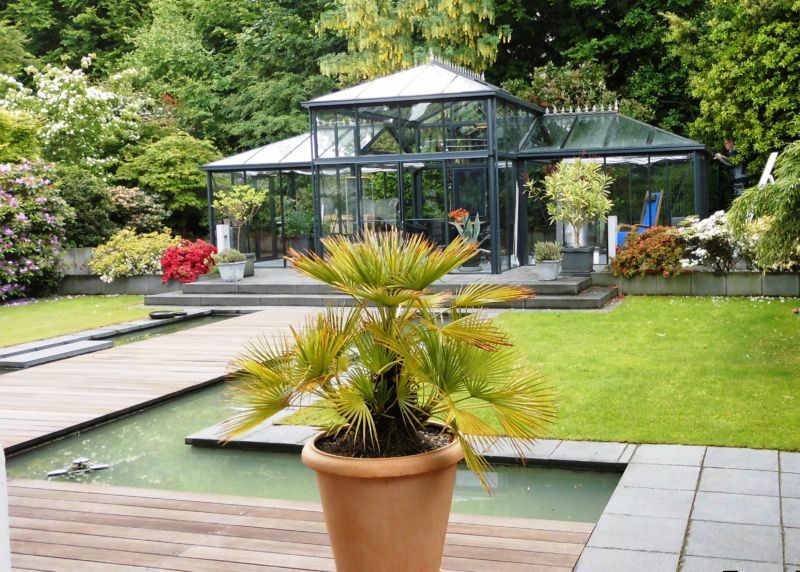 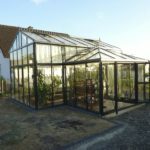 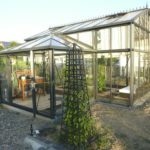 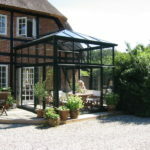 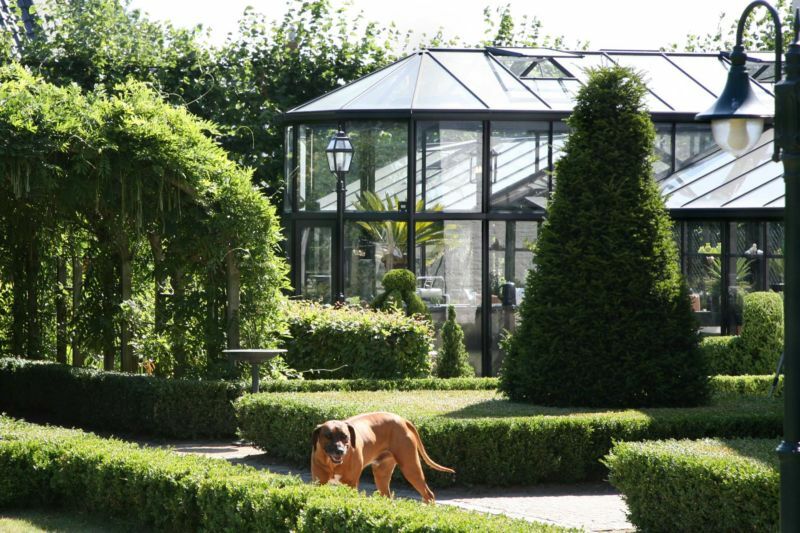 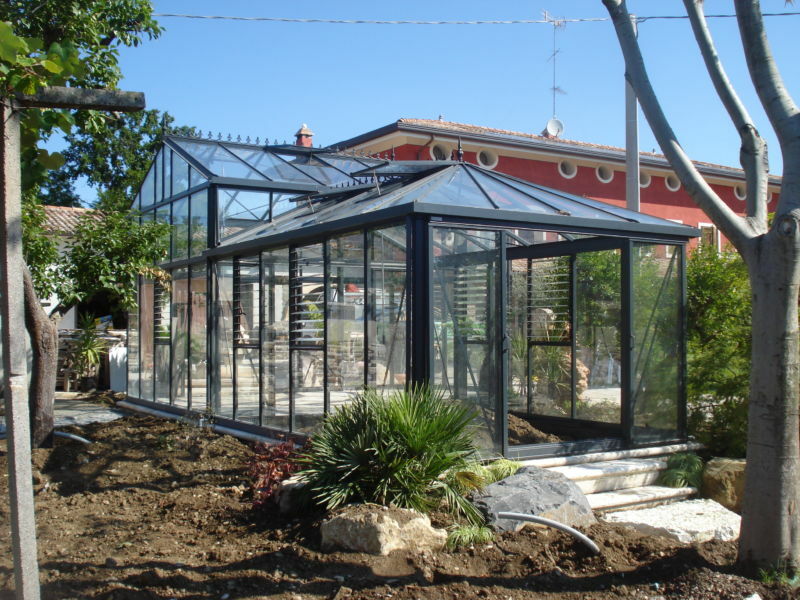 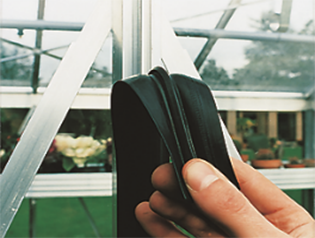 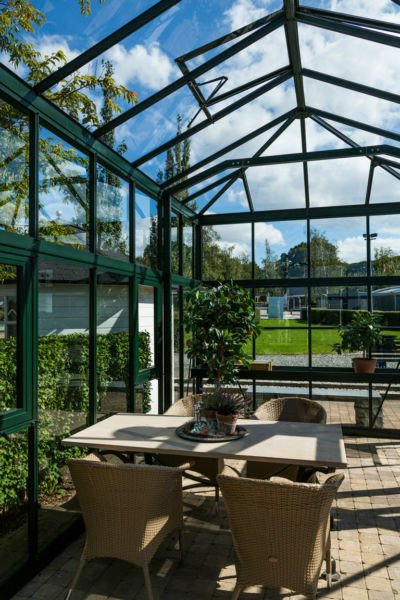 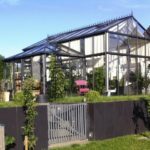 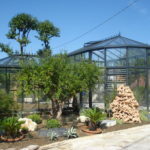 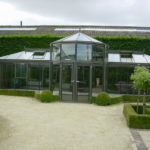 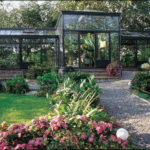 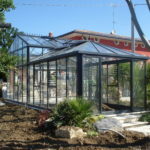 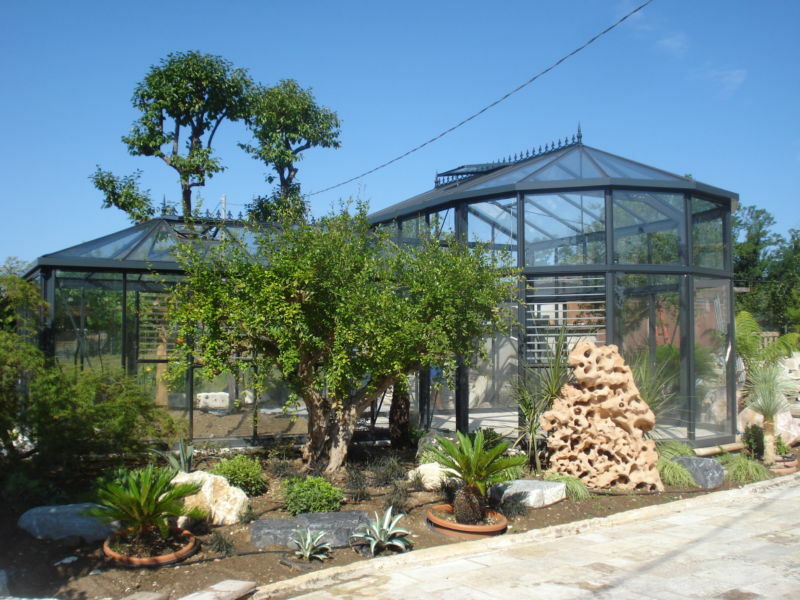 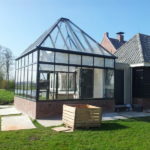 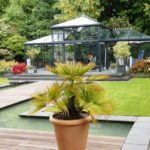 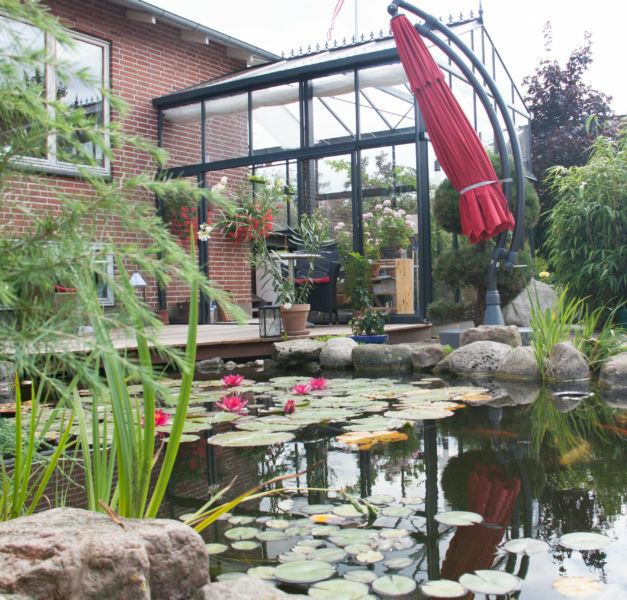 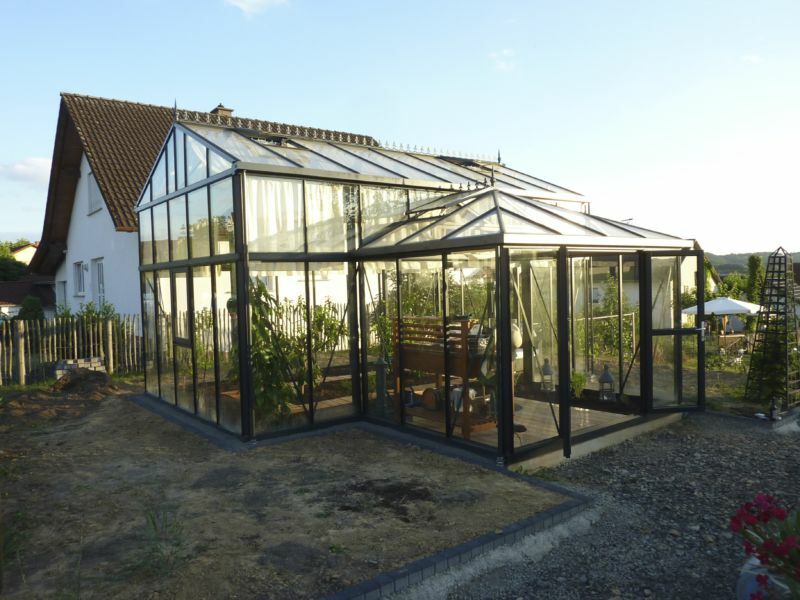 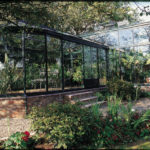 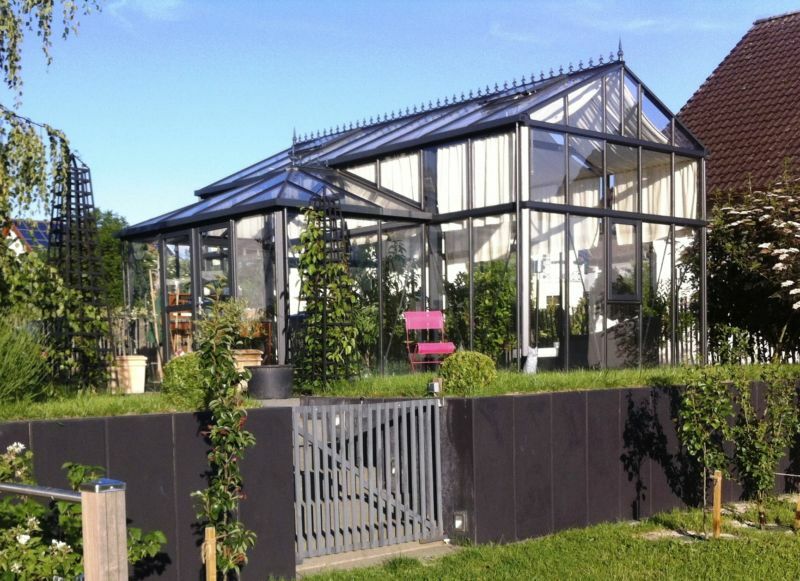 The Professional Orangery is the ultimate Glasshouse structure which you can design yourself by selecting from standard modules. 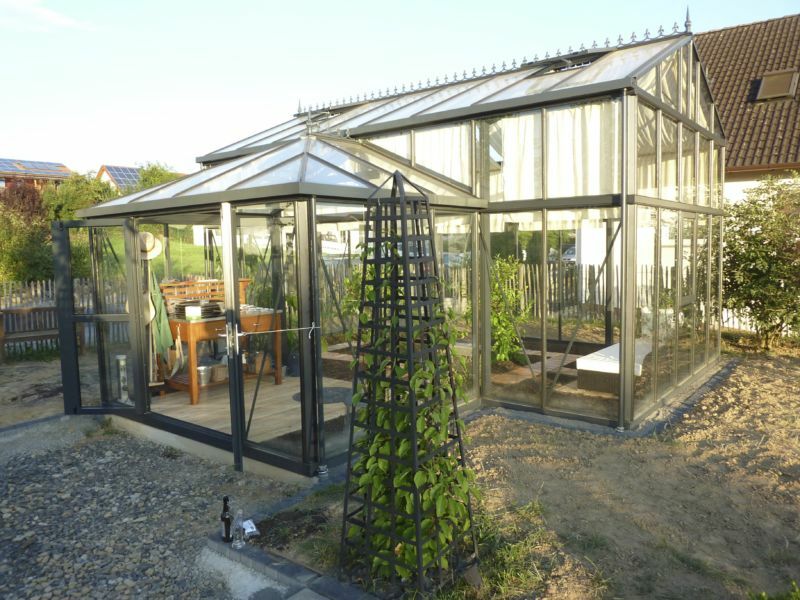 Through this system you can select and configure the main body and then add one or two wings to it. 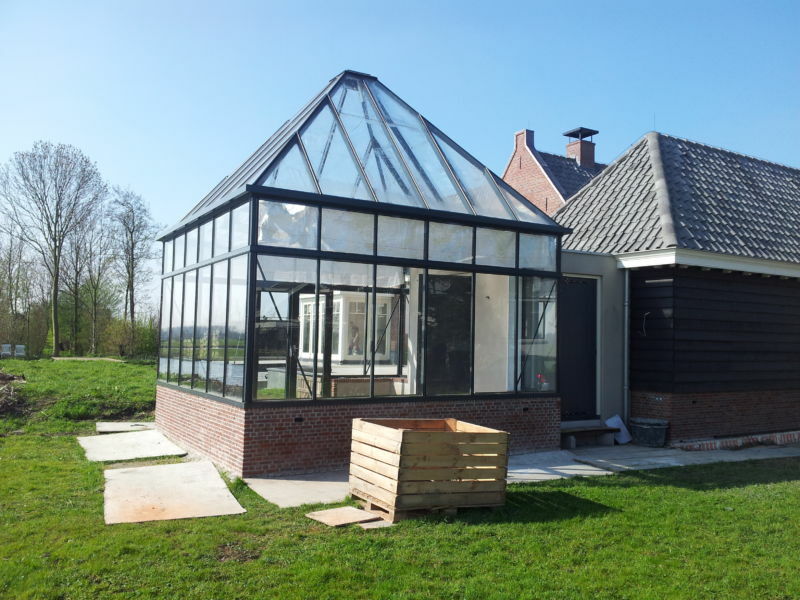 Doors and windows are added last. 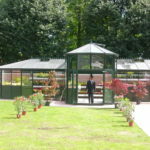 This structure will typically suit customers with large Gardens or for commercial applications – for example for the gardens of hotels and in Garden Centres. With the ability to select even the type of gable ends (curved, hipped or straight), the width and length of the main body and wings – and even more options, this range allows you maximum flexibility to match the product to your requirements and taste. Made with box section aluminium profiles the Professional Orangery system is engineered for strength, important in our windy climate. 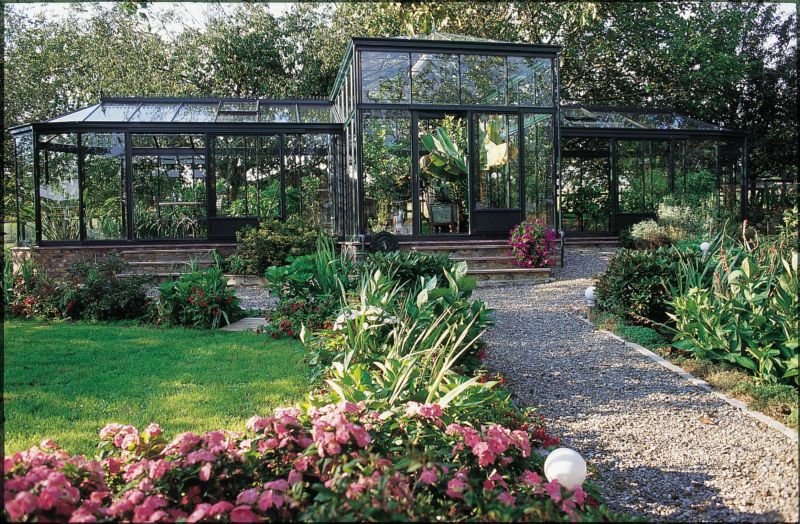 with one porch off it. 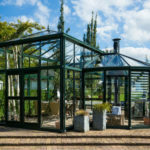 If you wish your Professional Orangery to be a lean-to Model this can be done – simply price the tall section as normal and refer to the Arcadia Professional (Lean-to) for the wings. 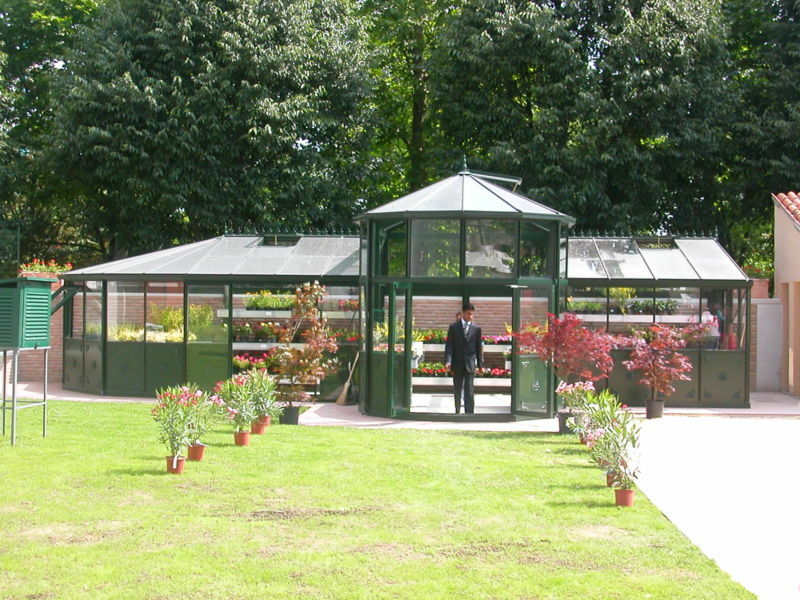 The wings can be supplied at the same height as the tall part. 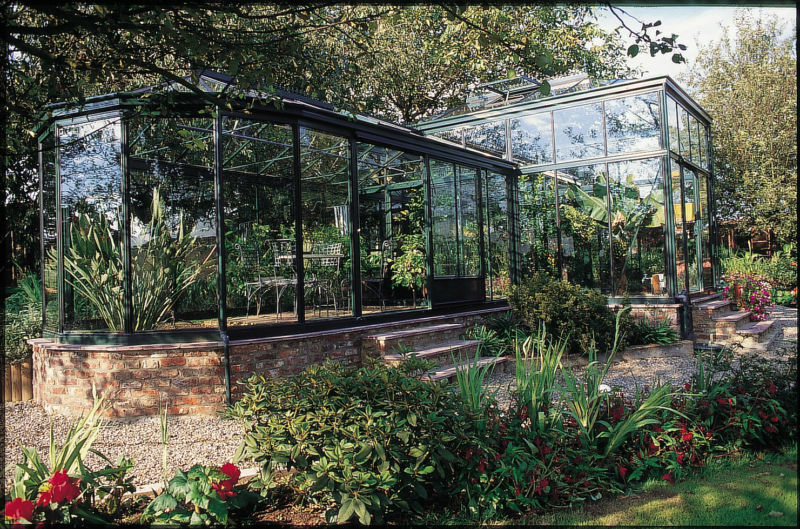 The Glass can be provided in narrow panes – called a ‘Model 37’.